Credentialed Diabetes Educators have experience and expertise in diabetes education, and have formally committed to professional development and ongoing learning. Credentialed Diabetes Educators already hold a professional health care qualification (eg pharmacist) and have completed a post graduate certificate in diabetes education. Credentialed diabetes educators (CDE) are specially trained to provide information about all aspects of diabetes including diet, physical activity, how to test your blood glucose levels, medicines to control diabetes, and foot care. 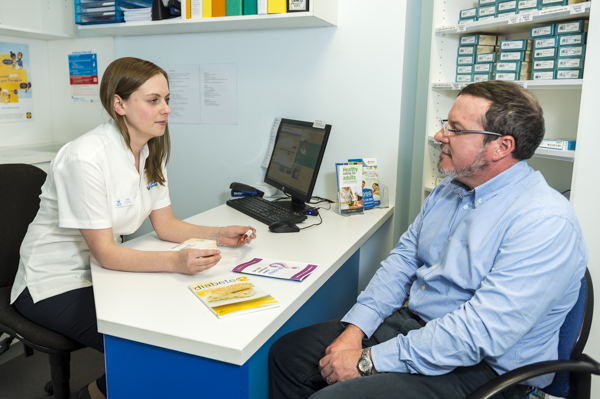 You can request an appointment or education session with one of our pharmacist Credentialed diabetes educators – Note: Medicare or your private health fund may subsidise the cost of this session.